Train with some of the best trainers in the country! Elite Training Tulsa offers professional, affordable and friendly personal training. Our clients see amazing results, we train for many things but among the most popular are weight loss (the safe and healthy way), toning, muscle building and sports training! Our clients lose 1-2lbs of body fat per week and fast! Get a personal trainer and get in shape quick! We build you a weight loss nutrition plan, a weight loss cardio plan and train you in a high efficiency workout! With increase in health insurance many companies are looking for ways to decrease their insurance costs as well as make their employees healthier and happier over all! Bulk up with one of our trainers at Elite Training. At Elite Training we work hard to ensure that you build muscle and gain size the natural way and the quick way, by using advanced scientific methods! Gain .5-1lb of lean muscle per week! Trying to prep for a specific sport? Elite Training Tulsa has got you covered: baseball, basketball, soccer, football, we have trainers who specialize in athletic training and can get you to the top of your game! Are you trying to ad some strength to your physique, maybe gain strength and some pounds of overall lean muscle? Our trainers at Elite Training Tulsa, specialize in this. We build you your own strength gaining routine! The time to tone up is now! At Elite Training Tulsa we have some fo the best trainers in the nation for women and men trying to tune-up and sculpt their bodies! We do spot-specific toning and overall weight loss, come out! Get a cardio routine to keep the weight off and a nutrtition plan to live healthier! Do you need to increase your endurance? We will be using a combination of cardio circuits, machines, weights, pliometrics and calisthenics to increase your cardiovascular endurance! Get a trainer to give you a push and get you a boost! Increase workout and lifestyle endurance! Elite Training is the best personal trainer gym in Tulsa, you have already tried a gym membership! Without the knowledge and motivation of a trainer, only 4% of gym members see the results they desire! 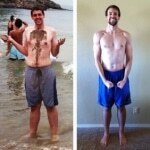 Get a personal trainer! We do: Kettle Bell Training, TRX training, functional training, etc.! Train with one of our elite personal trainers and increase your flexibility and decrease your chance of a muscular-skeletal injury! Get a proper nutrition plan with a elite personal trainer, we build you a proper nutrition plan, help you determine your caloric ranges as well as tell you what you should be buying in the grocery stores and eating at restaurants! Here at Elite Training Tulsa, we are great at working around your injuries as well as recovering some injuries! Many injuries (lower back, knee pain) and muscular problems can be fixed by stretching and strengthening the surrounding muscles! We work around most injuries! Are you in your first or second trimester or just finished a pregnancy and you really want to workout, but are afraid you may over exert yourself? Get a Elite Personal Trainer and stay in shape for the majority of your pregnancy! Schedule your first session for FREE! 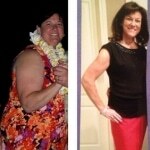 It’s Not Just Personal Training, It’s A Lifestyle Change! I had a good experience with Elite. I always felt like I was pushed past what I was capable of doing on my own. My trainer Ben is a very knowledgeable and helped me both with a diet and exercise plan. He is a very friendly and fun guy to be around as well. Since I’ve Started Training at Elite I’ve added about ten pounds of muscle mass. I’ve also reduced my body fat content, I feel like I’m much leaner than I was when I started. I have been training at Elite Training Tulsa for the last 6 months. This was my first experience with a personal trainer, and I was a bit nervous to begin. After I came home from the first free session, I felt incredible and could not wait to return. My trainer, Whitney, encourages me and motivates me to work harder than I would on my own. I am stronger not only physically but mentally as well. If you are fearful at first to try it out, go for it! You won’t regret it. Elite Training has pushed my much harder than I could have pushed myself and because of it I have accomplished much more goals than I could have ever accomplished on my own! Ben is a great trainer! He has a fun personality and makes the training enjoyable. He also is great at listening to your desires and goals and making sure you achieve them. If Ben still lived in the same city as me, he would still be my trainer, no question.